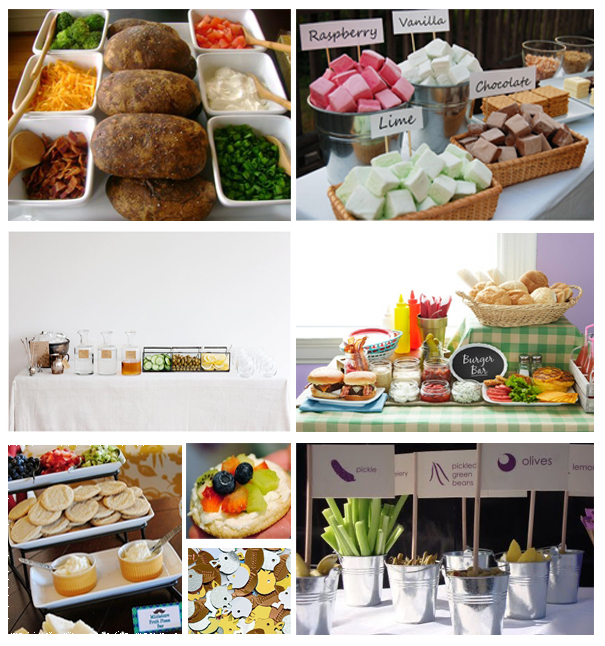 Last, in our Superbowl Party series is the Food and Drink Bar. A food or drink bar is the perfect addition to your Superbowl Party, especially if you are pressed for time or you just want to give your guests some variety. Also any of the above ideas would be perfect for tailgating or for that matter any other type of party. I hope everyone has a great Superbowl Sunday. I can't wait!